Many of you may know, but many more may not, that Severed Press has picked up the entire Apex Trilogy! They will be re-releasing DEAD MECH, The Americans, and Metal and Ash this summer. 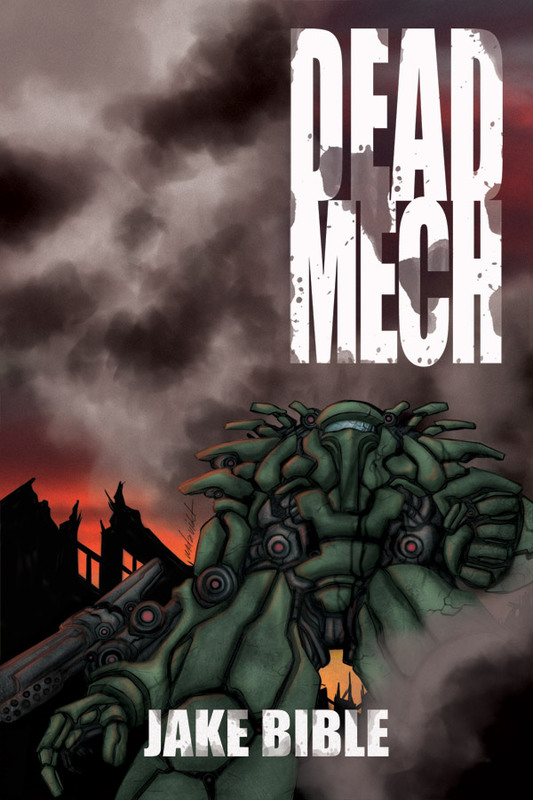 The ebook for DEAD MECH should be up for sale by this weekend (July 5th), with the others following soon. The print books take a little longer due to formatting, printing, etc. But ebooks, yay! I posted it super big so you could see the coolness. Now, I am a HUGE fan of the original cover, but when switching to Severed we needed to make sure to differentiate between the two releases. That means if you have the original it is now a collectors’ item! Um, if there are collectors out that collect my stuff. Sure there are! How is this version different? Everything is the same except for some serious line edits and proofreading. Not that the first one was a jumbled mess of Esperanto, but the editing (while professional) wasn’t tight. This manuscript is tight. TIGHT! The same treatment will be given to The Americans and Metal and Ash. So be on the lookout for the announcement of the re-release of DEAD MECH! Spread the word, get a copy with the new cover, tell your friends, buy fifty paperbacks and chuck them at strangers while screaming, “Eat that, deader scum!”. Or something along those lines. I will keep you posted as it all progresses to glory! GLORY! Posted on July 3, 2013, in Dead Mech Podcast, What's Up.... and tagged apocalypse, bible, cannibals, dead, dead mech, drabble, exclamation, fiction, genre, horror, Jake Bible, mech, science, science fiction, scifi, undead, writing, zombie, zombies. Bookmark the permalink. Comments Off on DEAD MECH and the Apex Trilogy.